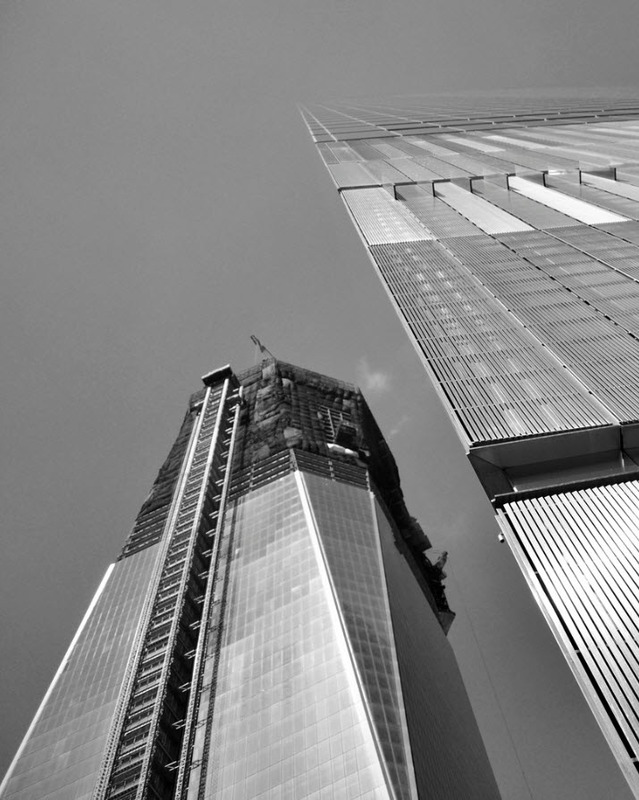 More than 200 people jumped from the World Trade Center on 9/11. All of their deaths were classified as homicides, not suicides. In other words, they were murdered. The people in this video and slide show were just like you and me. They got up for work, had their morning coffee, maybe a bagel, walked into a cubicle filled office…and then decided to jump out a window and fall 40 stories to slam into concrete instead of melting to death. Imagine having to make that decision after breakfast tomorrow morning. It takes almost 10 seconds to hit the ground…plenty of time to think on the way down. What would you think about in those ten seconds? Try counting to ten…it’s an agonizing length of time. We expect soldiers hiding in bombed out buildings to face death, not office workers that just had a bagel…workers just like you. 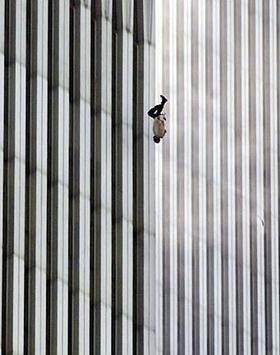 “The Falling Man” is an image that has come to represent the brutality of the attackers. His identity is unknown, but he represents them all. When enough time goes by, we start to forget. It becomes something that happened to “them” and not us, something that happened a “long time ago.” And from that, we get a sense of security and safety. I can assure you, this is a false sense of security. We are far from secure and it is only a matter of time before we get hit again. After you have breakfast tomorrow, you may be faced with a similar decision. I do not have faith in our government to prevent another attack. The borders are not secure and our government is weak, distracted, inefficient and bureaucratically mired. American media didn’t show these images, but I will. We need to remember the brutality of those who are still at war with us and whose goal it is to inflict even more damage on their next attack. What might the next attack look like? An EMP attack is possible, which you can read about here. But it would be easier to just do what’s been done before. We believe the airport controls will prevent another attack, until someone almost blows up a plane and new rules are added to the list to try and prevent it in the future. Eventually, one of these “new ideas” will be successful. All we’ve been so far, is lucky. So instead of focusing our limited resources where the highest risks exist, we instead create a razor thin layer of security over everything. Bad idea. Then there’s Michael Chertoff, the former head of Homeland Security who then became the co-founder of the Chertoff Group which now acts as a consulting group for Homeland Security. A client of the Chertoff Group is a company called Rapiscan that manufactures full body scanners. So which company do you think got the contract to provide the full-body scanners in our airports all over the country? That’s right, Chertoff’s Rapiscan got the contract. So what do you think is more likely? That full-body scanners are really the answer to protecting Americans or that a former government political crony formed his own consulting group that represents a company that makes full body scanners and then just happened to promote full body scanners as the only solution to our security problems, oh and which then coincidentally and quite accidentally makes that political crony a fortune in the process.